Considering liposuction? Not sure if it’s right for you? Say goodbye to stubborn fat and unwanted bulges. Liposuction is NOT a weight loss procedure. Liposuction is a body shaping procedure which improved your body shape by successfully and permanently removing bulges of fat for a more trim contour in the treated area. You’ve come to the right place for straight answers about liposuction. Liposuction is a safe and effective way to rid the body of stubborn fat cells. Liposuction is a surgical technique that artfully contours the body into a more proportioned, smoother shape. Although the amount of fat on your body IS to some degree under your control (diet and activity dependent), fat distribution is NOT under your control. Age and genetics may undermine healthy eating habits and hard work at the gym. If you want to improve your shape beyond what is under your control, consider liposuction to reduce or remove localized areas of fat. You’ve found a great surgeon, but is liposuction right for you? Liposuction is a safe and effective way to remove stubborn fat from your body. Like any surgical procedure, it is not for everyone. This information may help you make a smart, confident decision…to educate you before your consultation with Dr. Laverson…and for all the steps that follow. Prepared with good information and a list of important questions, you’ll be able to decide whether you believe liposuction will help you achieve your goals. Liposuction can reshape, sculpt, and refine your body. What do you consider your problem area? Your abdomen, hips, thighs, back, knees, buttocks, upper arms, chin, cheeks, calves, ankles or neck? Liposuction is a technique for fat removal in all of these areas. Liposuction is body contouring that lasts. It is a safe and effective procedure to reduce or remove localized areas of fat. Liposuction contours the body making it smoother, more balanced and more proportioned. Fat removal is permanent. What can liposuction do for you? To view before and after photos, visit our gallery of before and after results HERE. Even the most disciplined, fitness-minded among us, cannot control the locations fat is distributed on the body. Age and genetics can undermine good intentions, healthy eating habits and a regular exercise regime. Liposuction is an out-patient procedure. Dr. Laverson uses a small wand or “cannula” to suction fat from beneath the skin’s surface to reduce unwanted bulges in areas like the abdomen, hips, thighs, back, knees, buttocks, upper arms, chin, cheeks, calves, ankles and neck. The result is apparent almost immediately—a better balanced, more shapely you. To feel better about the way you look in (and out of) clothes, liposuction is worth considering. On the day of your procedure, Dr. Laverson confirms with you the areas of bulging and extra fat to remove. He does this in a three way mirror so you can identify with him which spots you want reduced and trimmed. Markings on your skin with indelible ink remain after the sterile preparation in the operating room, and delineate the areas you have agreed upon. Whether or not you are awake during surgery depends on your health, surgeon preference and the extent of the procedure. If a larger volume of fat is being removed, you may be asleep during the surgery with a general anesthetic administered by an anesthesiologist or a nurse anesthetist. When smaller volumes are removed, some surgeons will administer a local anesthetic using a numbing agent in the surgical site. They may also insert an I.V. to administer medications such as an intravenous sedative to help you relax during the procedure and/or to manage your fluid levels. Dr. Steve Laverson opens a small spot within a skin fold to pass a thin instrument into your fat. Fluid is infiltrated to expand the fat space and to deliver epinephrine. Sometimes, local anesthesia is added to the fluid also. Epinephrine minimizes bleeding, and anesthetic numbs the treated area. This infiltration (“tumescent”) solution helps Dr. Laverson remove your fat by distending fat cells and separating them from surrounding structures. Tumescent fluid promotes fat removal by isolating and enlarging the fat compartment, facilitating more thorough fat withdrawal. After the solution is injected, Dr. Laverson uses specialized surgical instrumentation for fat extraction. These tools, called “cannulas,” are designed for fat removal. Cannulas are hollow tubes with openings near the tip. A variety of lengths, diameters, and tip styles are produced to extract fat in different situations. Larger cannulas remove larger volumes of fat for debulking. Smaller cannulas remove smaller volumes of fat, and are best for sculpting precise contours. Cannulas with sharp, “aggressive” tips are for fat embedded in dense stroma (connective tissue). Cannulas are directed by Dr. Laverson in an oscillating (back and forth) motion through fat. Fat is pulled into the cannula by a pump that generates negative one atmosphere of pressure. The pump is connected through a filter and sterile tubing to the back end of the cannula, which Dr. Laverson holds in his right hand. Although it is most important for you that Dr. Laverson removes enough fat to achieve your desired contour, removing too much fat from a given area is undesirable. 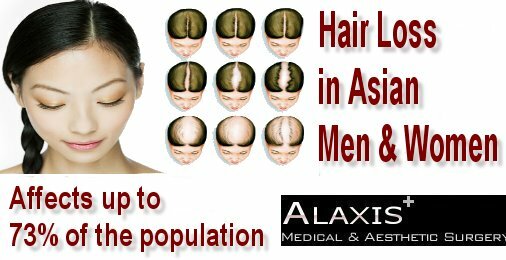 Depressions, uneven skin contour, and surface irregularities may result. Dr. Laverson estimates the amount of fat to be removed before your procedure based on the area and projection of the bulge you want reduced. He knows removal is complete and proceeds to your next area when the bulge has been flattened and an attractive shape is apparent, when fat in the suction tubing is no longer withdrawn, when the estimated amount of fat has been removed, and when he has extracted the same volume as on the opposite side. When the procedure is completed, all openings are closed with fine stitches buried beneath your skin. Surgical adhesive and skin tapes cover the openings until healed. If you are having areas on the front and back of your body treated, Dr. Laverson and operating room staff extremely carefully re-position you under anesthesia, exposing all of the areas that were marked and agreed upon when your procedure was planned. Before you awaken from anesthesia, Dr. Laverson applies your custom fitted superior quality compression garment, usually from Medical Z, San Antonio, TX. Dr. Laverson recommends you wear this for several days continuously. After your first post-surgical office appointment, the garment may be removed for showers, and used for a total duration of two to three weeks following your procedure to help even surface contour and control swelling. Individuals with firm, elastic skin who have pockets of excess fat. Because aging affects skin elasticity, younger people tend to have better results—but improvement is likely at any age. Individuals within a normal weight range— Liposuction works best for those who are within a normal weight-range, yet have unwanted bulges that can’t be eliminated by diet and exercise alone. Liposuction reduces fat collections in so- called “problem areas,” but should not be used as a cure for generalized obesity. Probably NOT needed, but if she has bulges she doesn’t like, liposuction will remove them! While liposuction is safe and effective, it isn’t for everyone. All surgery presents risks. You should discuss your general health and pre-existing conditions with Dr. Laverson. If there are any un-resolved medical issues, Dr. Laverson may (with your approval) call your primary care physician to be sure liposuction is OK with that doctor, and that your underlying health presents no contra-indications. Dr. Laverson will review general surgical risks, specific risks associated with liposuction, and supplies you with an informed consent document for further explanation. Body contouring is both a science and an art. Communicate clearly with Dr. Steve Laverson about your expectations. He will explain whether they are possible, and what result you should expect. Although bruising after liposuction is usually minor, swelling resolves slowly. Your final result doesn’t become truly apparent until some time between six and twelve months after the liposuction procedure. A small office procedure or an additional surgery may be necessary to meet your expectations. Also, there is a possibility that you may regain the weight in the same areas that were treated or you may gain fat in areas of your body where you did not have it before. Finding the right surgeon is the single-most important decision you will make. It is important to find a surgeon with whom you feel comfortable with and trust. Choosing a surgeon with extensive skills and experience and who communicates well with you is key to helping ensure successful results. Dr. Laverson is a sure bet. His standards, training, credentials, experience, knowledge, compassion, ethics, innate aesthetic sense, and commitment to value combined are truly unique, and unsurpassed. Bring a list of questions to the office that are important to you. Dr. Laverson will answer them all honestly. He is not a salesman, but an artist who wants to produce for you the best possible result. If he can help you, he will let you know how. If he cannot, he will explain why. Do you have any history of high blood pressure, heart disease, or bleeding disorder? Do you have any breathing problems, including shortness of breath, bronchitis, emphysema, or COPD? What medications do you take (including supplements, vitamins, herbs etc.)? Do you smoke, drink alcohol, or use any other prescription or recreational drugs? The questions below are only a starting point. As you consider all aspects of the surgery, additional questions will occur to you. Remember, there are no silly questions. Be sure to bring a written list so all your questions are answered. What are the risks and complications associated with liposuction? What type of anesthesia do you recommend for my procedure? Why? How long will it take for me to heal? How long before I can go back to work or resume normal activities? What alternate procedures to surgery are available? May I please see your before and after photos? What will the procedure cost? Your pre-op appointment is scheduled prior to your surgery date and is when Dr. Laverson gets a clearer picture of your situation, your desired results, and details of the procedure that will be required to safely and reliably achieve a good result. Take this opportunity to explain exactly what you want, and to ask additional questions. At your pre-op visit, Dr. Laverson explains your liposuction procedure in more detail including incision placement and anticipated results, as well as the volume of fat removal that is acceptable at the location where your surgery is being performed. You will also read and sign a surgical consent form. You will be told what steps you need to take to prepare for your procedure, and will receive written instructions. Dr. Laverson will order the compression garment you wear home from your surgery. Your instructions will also include what you shouldn’t do before surgery—things like eating or drinking on the day of the procedure or supplements, herbs and/or medications to avoid. Remember, following Dr. Laverson’s instructions will promote a successful outcome. What should I expect. . . and do . . . after surgery? WEARING A COMPRESSION GARMENT: You will most likely wear a Medical Z compression garment to control swelling and help your skin maintain its shape. Dr. Laverson and the operating room staff apply your custom fitted garment after surgery. These garments are usually worn for at least two weeks. Dr. Laverson and/or the office staff will call to check up on you and will schedule follow-up visits to be sure your healing is progressing well. Expect temporary swelling, bruising, numbness and some pain (that can be managed with medications) immediately after surgery. Start walking as soon as possible after surgery to prevent blood clots from forming. Bruising and swelling usually subside within four to six weeks. Exercise and eat healthy. Good advice for everyone but, in this case, making smart choices can help you maintain your new shape. Yes–as long as it is done by a qualified surgeon and the patient fits the criteria of a good candidate. What if the results disappoint you? The need for touch-up work is possible. In some cases, fat may not be removed evenly or the skin may be scarred or sag after treatment. Additional surgery or other procedures may be required to satisfy your expectations. What if I gain weight after the surgery? If you gain weight after liposuction, the treated fat cells and bulges will still be gone. Your new shape will remain, but your weight gain will be more evenly distributed. When you meet with Dr. Laverson, review before and after pictures of patients with similar body types and procedures. These photos will help you determine whether your expectations are realistic or not. Is liposuction a good way to lose weight overall? No, liposuction is not a weight-loss method. It is a surgical procedure to balance and sculpt the body and best for those who are near their ideal weight, yet have one or more areas that do not respond to diet or exercise. Does liposuction tighten loose skin? No. Liposuction removes fat and reduces some of the pressure on your skin, but in general, it is not an effective way to tighten skin. Many overweight people who have liposuction also undergo surgical procedures to remove excess skin. Will the fat come back after liposuction? Only if you gain weight, but it will still not accumulate disproportionately in the treated area as before. 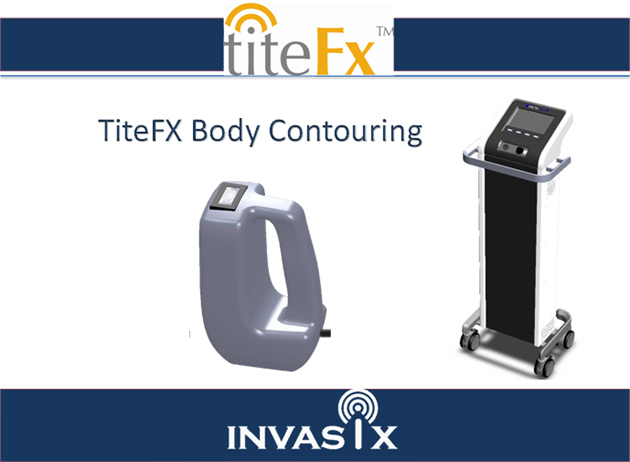 Because liposuction removes fat from a specific area, your new contour is permanent. If you gain weight, it will be everywhere, and you will likely be unhappy with your body. Maintaining a healthy weight by lifestyle habits is important to maintain your new, more refined body. One to six hours, depending on the size of the area treated, the amount of fat removed and the type of anesthesia used. What is the difference between standard liposuction and ultrasonic assisted liposuction (UAL)? UAL is a technology that uses ultrasonic energy to gently liquefy fat. As the cannula is passed through fat deposits, ultrasonic energy breaks open the fat cell walls. This allows fat to flow more freely, where it can be suctioned out and removed. The advantage of UAL is that it is more effective in fibrous areas of the body, such as the upper back, the male breasts, or in areas that have been previously treated with liposuction. Pain tolerance varies from patient to patient and some surgical sites may be more sensitive than others. You should expect temporary swelling, bruising, numbness, and some pain (that can be managed with medications) immediately after surgery. Discuss with your surgeon what to expect based on the areas being treated. This will vary based on your general health and the volume of fat being removed. It also depends on your height, weight and other individual factors. 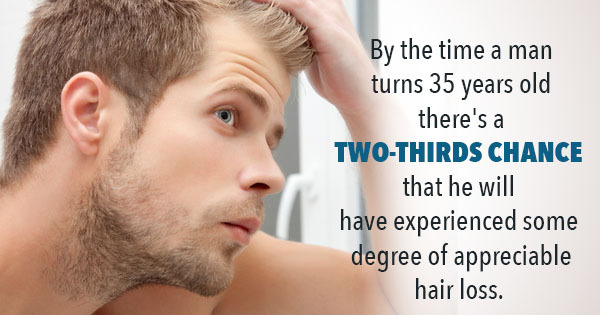 As a rule of thumb, the thinner you are, the more areas you can have treated. Your doctor will be your best guide. Liposuction is not effective in removing cellulite and there is the possibility that liposuction can actually worsen the appearance of it. your scar thicken or more visible. Ask your surgeon about methods to minimize scar formation. How long will it take for me to get back to my normal activities? Most can resume work or school within a few days. But be gentle with yourself. After all, Liposuction is a surgical procedure and requires time for recuperation. Your stitches will come out approximately 7 to 10 days after your procedure. While most people can go back to work or school a few days after surgery, strenuous activity must be avoided for four or more weeks. There is no way to accurately predict your healing speed, but most patients will see 80% of their liposuction results within 1 to 6 months following surgery. Final results vary from patient to patient and depend on age, areas treated, and the amount of fat removed—as well as individual healing speeds. Some patients see immediate results that improve steadily while others have weeks of swelling. Both of these outcomes are normal. With realistic expectations and proper body maintenance, you can be satisfied with the results of your plastic surgery for many years to come. Step 1: This information should help you make an informed decision regarding the value of liposuction to you. Step 2: Call 858-295-4001 to schedule an appointment with Dr. Laverson, or click HERE. Step 3: Bring your question checklist with you. Step 4: Schedule your surgery, allowing for the appropriate amount of rest and recovery time. Follow Dr. Laverson’s pre-surgery instructions and enjoy envisioning a new you.